A new take on the Monk shoe from Dr Martens. With a hint of rock & roll edginess and Gothic style, the Ramsey II has the perfect meld of Creeper profile and low wedge sole combined with black floral emboss leather uppers and conical black pyramid studs. Keeping Dr Martens heritage, the unisex Ramsey II is Goodyear welted with a grooved edged sole unit, iconic yellow stitching and scripted heel-loop. 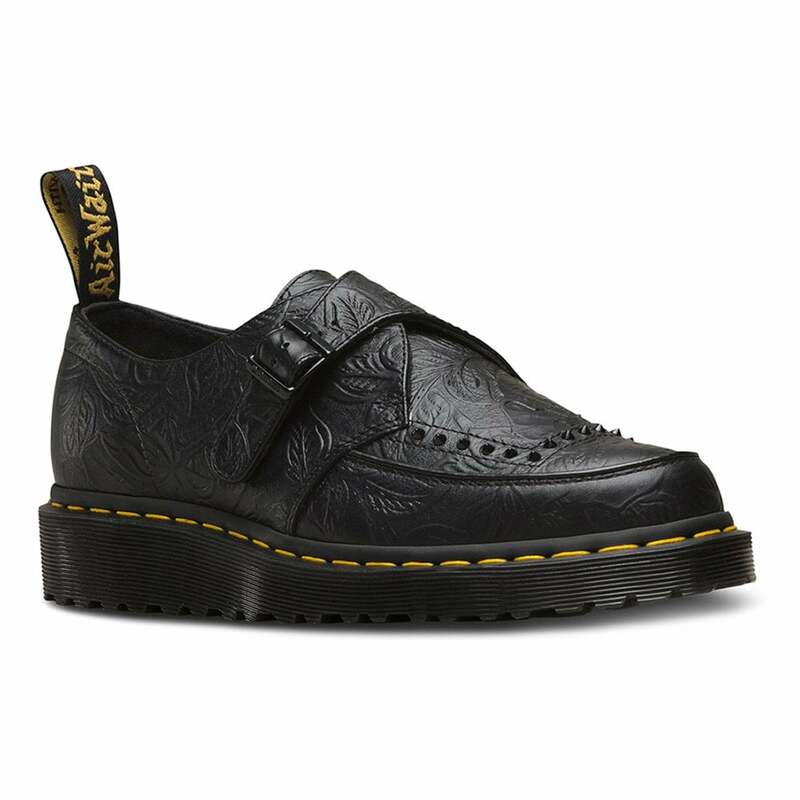 Just designed to be different; get your pair of Dr Martens Ramsey mens and womens monk shoes right now!